Want to learn how to quilt? This two class series will cover all the essentials of quilting. You will learn fabric selection, rotary cutting, and piecing. At the end of this two class series, you will have a completed small quilt top that is the perfect size for a play quilt, baby gift or wall hanging. After this series you'll be able to tackle a wide variety of quilt patterns with confidence and make beautiful heirlooms for family, friends, and yourself! You may bring these Basic Sewing Supplies, or we have all of these items available for purchase in the Sewing Lounge. Students receive a 10% discount on all supplies. NOTE: There is homework to be completed each week between classes. 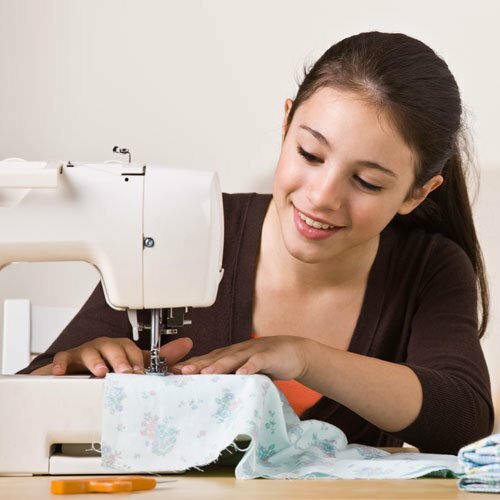 If you do not own a sewing machine, or have access to one, you may schedule “lounge time” at Urban Spools for a small rental fee.